Tues­day, April 24th, is the launch of Grant County’s new & improved, mobile-friend­ly com­mu­ni­ty cal­en­dar, DoGrant​Coun​ty​.com! The ​“Do Grant Coun­ty” team is excit­ed to con­duct a ​“Rib­bon-Tying” event at the Gar­den House of Mat­ter Park this (Tues­day) evening from 4 – 6pm, where the pub­lic is invit­ed to enjoy the cer­e­mo­ny, refresh­ments, a tuto­r­i­al, and games. Why is it a big deal? A coun­ty­wide col­lab­o­ra­tion got togeth­er around this time last year to solve an ongo­ing prob­lem of using mul­ti­ple seg­ment­ed cal­en­dars when find­ing or shar­ing events. There was also a desire to pre­vent over­lap­ping of larg­er com­mu­ni­ty events. In May of 2017, ItsHap​pening​In​Grant​Coun​ty​.com was cre­at­ed. Many com­mu­ni­ty groups latched onto the free pro­mo­tion­al ser­vice due to its inclu­sive­ness. After one year of test­ing, the same team met to address small issues and make the cal­en­dar more user-friend­ly with a con­cise name, and even an app for easy use on a mobile device. Ergo, DoGrant​Coun​ty​.com, was born. The Grant Coun­ty Eco­nom­ic Growth Coun­cil con­nect­ed the team with two Tay­lor Uni­ver­si­ty stu­dents who had won a busi­ness plan com­pe­ti­tion for intro­duc­ing an inter­ac­tive employ­ment web­site to con­nect stu­dents and grads with local job oppor­tu­ni­ties. Busi­ness Man­age­ment major, Sung Kim, and Com­put­er Sci­ence major, David Han, took on the project to enhance func­tion­al­i­ty and over­all expe­ri­ence for the exist­ing com­mu­ni­ty cal­en­dar. They helped spear­head its name, Do Grant Coun­ty, exe­cut­ed new brand­ing, and got to work on improv­ing and adding features. As a result of their hard work, DoGrant​Coun​ty​.com has a sim­pli­fied struc­ture, and lets you eas­i­ly change, repli­cate, or can­cel your event as desired with­out hav­ing to jump through hoops. The event still goes through approval based on the same guide­lines, ensur­ing your event is not prof­itable or for polit­i­cal gain, etc. In short, DoGrant​Coun​ty​.com is a website/​app for the pub­lic to use in pro­mot­ing com­mu­ni­ty events, and cuts out the rep­e­ti­tion of post­ing them on mul­ti­ple plat­forms in var­i­ous for­mats. The tool also lets you search for events of broad inter­est through one source. 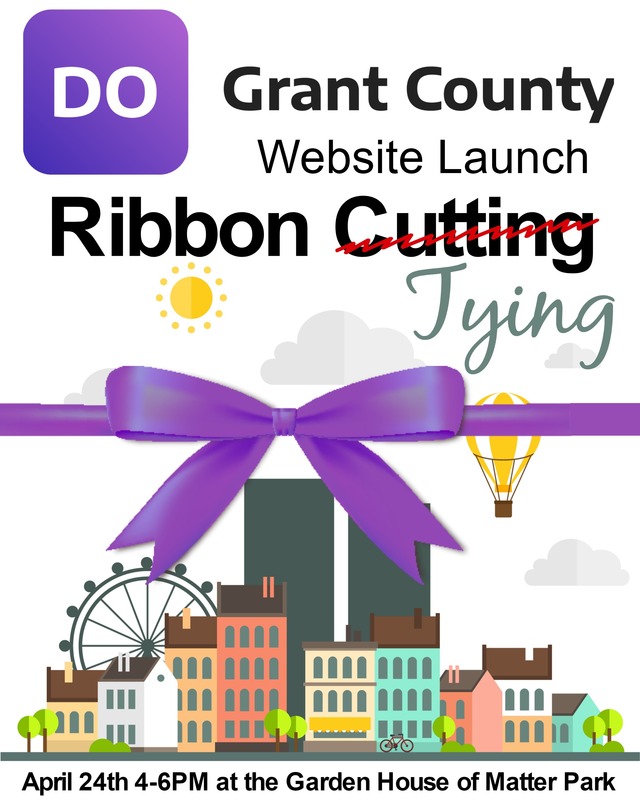 How to get the app: Add ​“Do Grant Coun­ty” as an icon on your mobile by going to DoGrant​Coun​ty​.com. On iPhone, tap upload icon then ​“add to home screen.” On Android, tap ​“Cre­ate a Book­mark” icon and choose ​“home screen” under ​“add to” option. ItsHap​pening​In​Grant​Coun​ty​.com will still be acces­si­ble until the end of May, at which time DoGrant​Coun​ty​.com will become the exclu­sive site. Han reflect­ed the work was a great learn­ing expe­ri­ence and he will use the gained skills when he returns to his com­mu­ni­ty in Korea. How­ev­er, Kim said that he wants to stay in Grant Coun­ty to build rela­tion­ships and be a part of the momen­tum he is see­ing in Grant County. So, we encour­age you to ​“Do Grant Coun­ty”! Enter your event on April 24thbetween 4pm & mid­night and you might win a spe­cial DoGrant​Coun​ty​.com prize! If you have any ques­tions for the Do Grant Coun­ty team, email us at contact@​dograntcounty.​com.